A special holiday candle with your choice of the scents of the season! 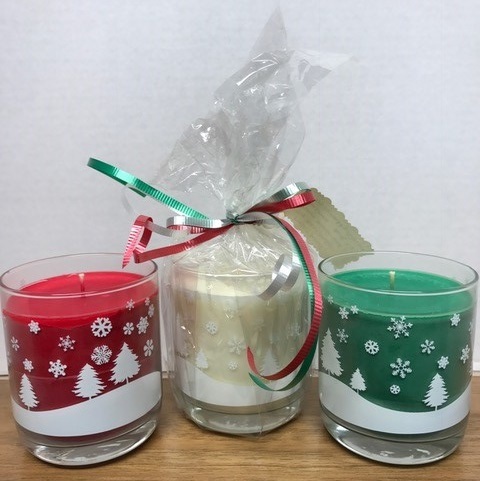 This holiday tumbler is filled with soy wax candles and are available in all holiday scents, unless otherwise specified. Will be packaged for shipping, shipping not included.